Update 6/26: This code is still valid, but an on-screen clippable $20 coupon will bring it down to $179. 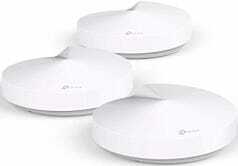 That’s just $60 per router! 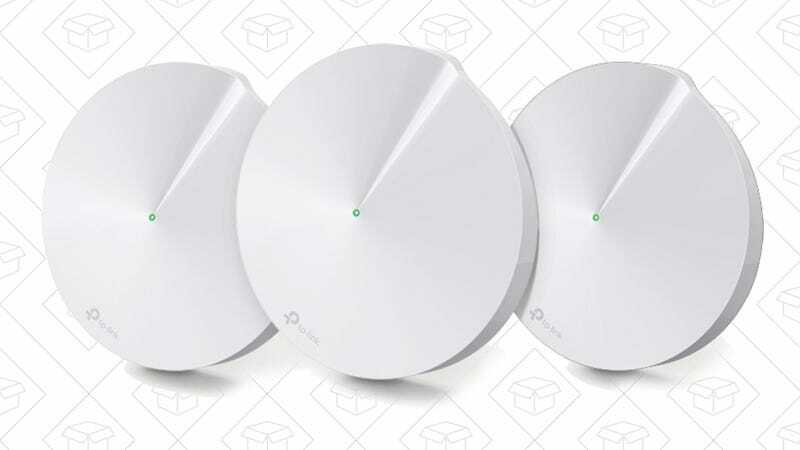 By virtue of being new, these don’t have as many reviews as, say, Eero routers, but $199 for a 3-pack (enough to cover a 4500 square foot home, according to TP-Link) is a pretty stunning price compared to similar products on the market. I was actually sent a demo unit of the three-pack to try out, and while I couldn’t really test the range in my 700 square foot apartment, I found them to be very easy to set up.